Yoga can be incredibly beneficial to your mind, body, and soul, but there are those out there who would argue that drinking can do the same. You can drink to forget a bad day, week or even year, but sometimes all it ends with is you being incredibly hung over and a hilarious picture of you posted on the internet. 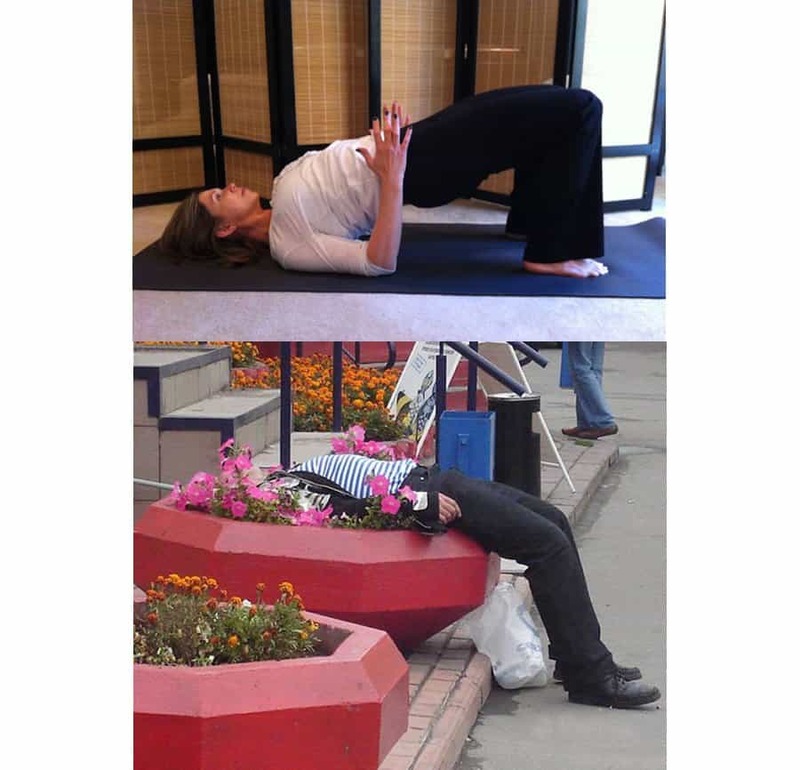 Thanks to the invention of cameras and social media, we’ve got some of the funniest drunk yoga poses you’ll ever see. 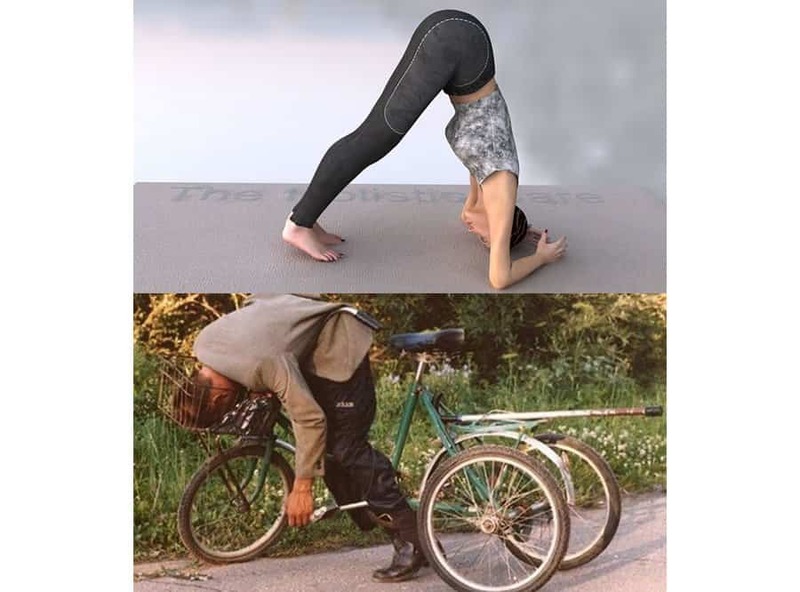 Yoga usually requires people to be incredibly flexible, contorting their body into positions that seem rather unnatural. 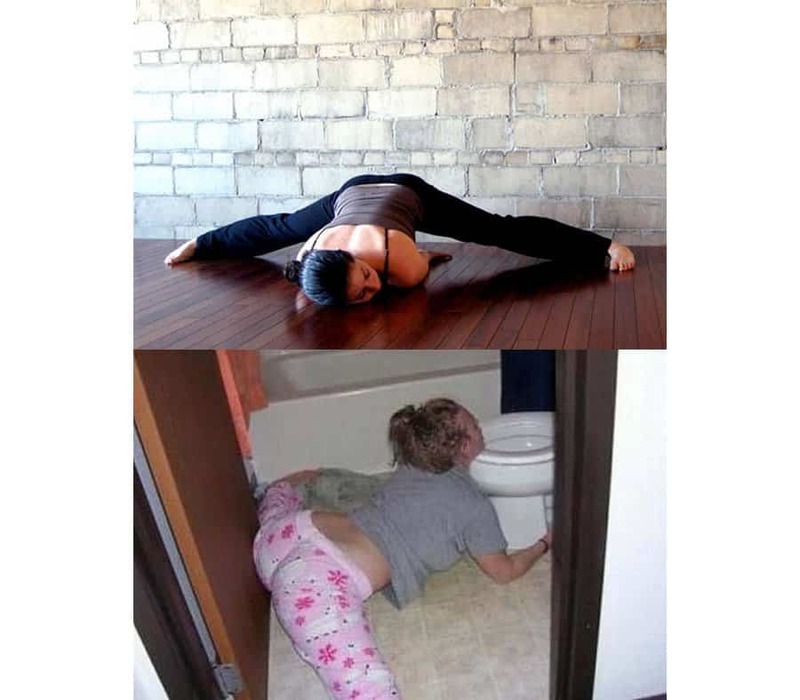 Thankfully, when you’re intoxicated, you don’t have to be flexible, as your inhibitions take over. 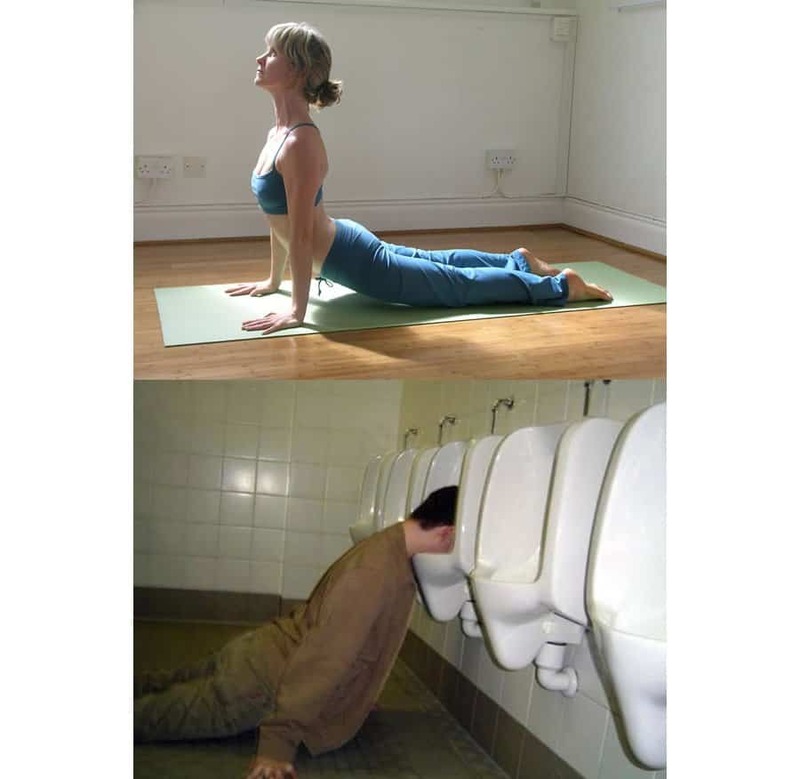 Here are some of the funniest drunk yoga poses we could find! 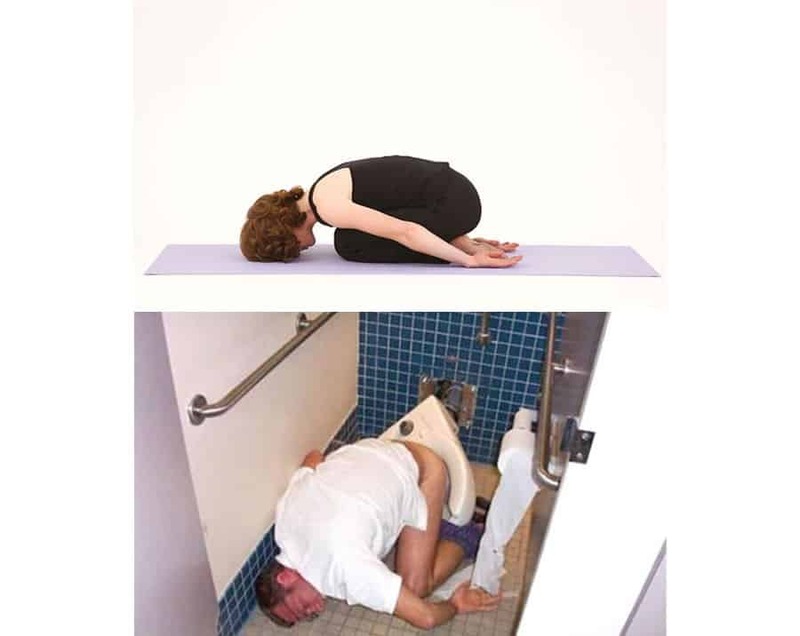 While this actual yoga pose is the Uttana Shishosana, the guy in the lower picture seems to be recreating it rather well. 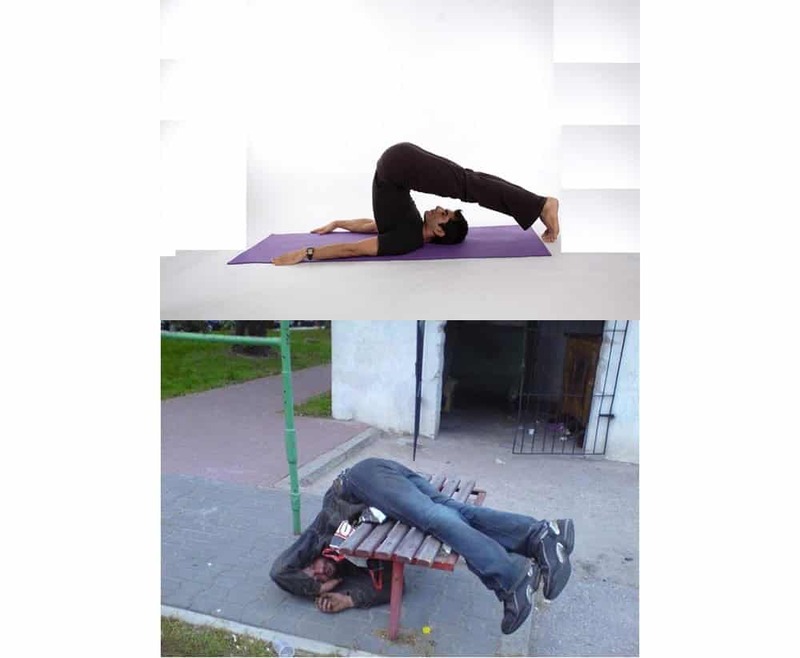 This guy passed on the yoga classes and went for the alcohol. Maybe when he wakes up he’ll find he did his own kind of yoga. This guy pretty much nailed this pose, apart from his face being in a urinal. 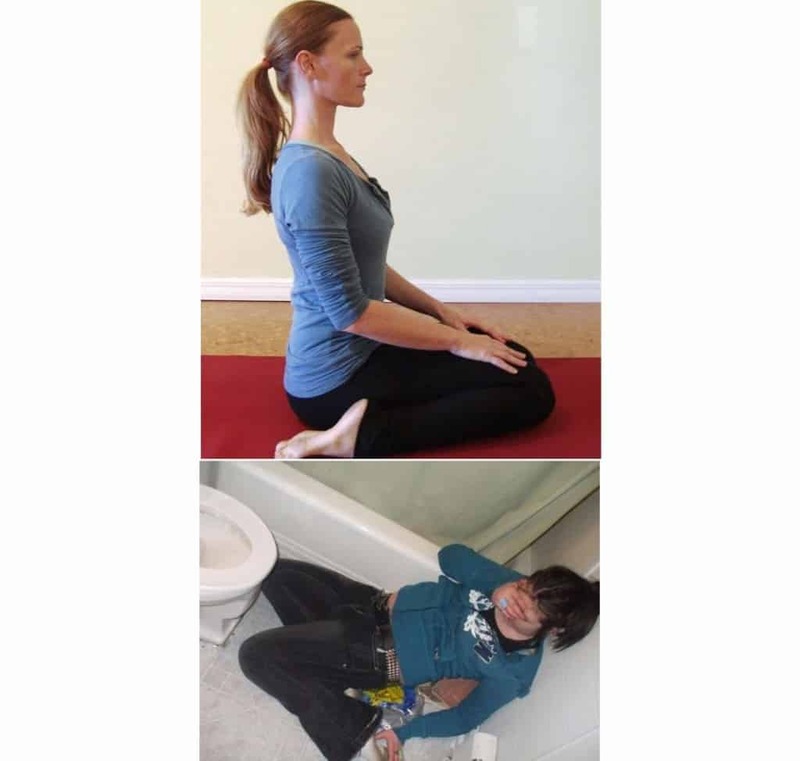 Sure, this pose isn’t entirely difficult to pull off, but when you’re sitting on the toilet taking care of business, the floor can seem rather far away. 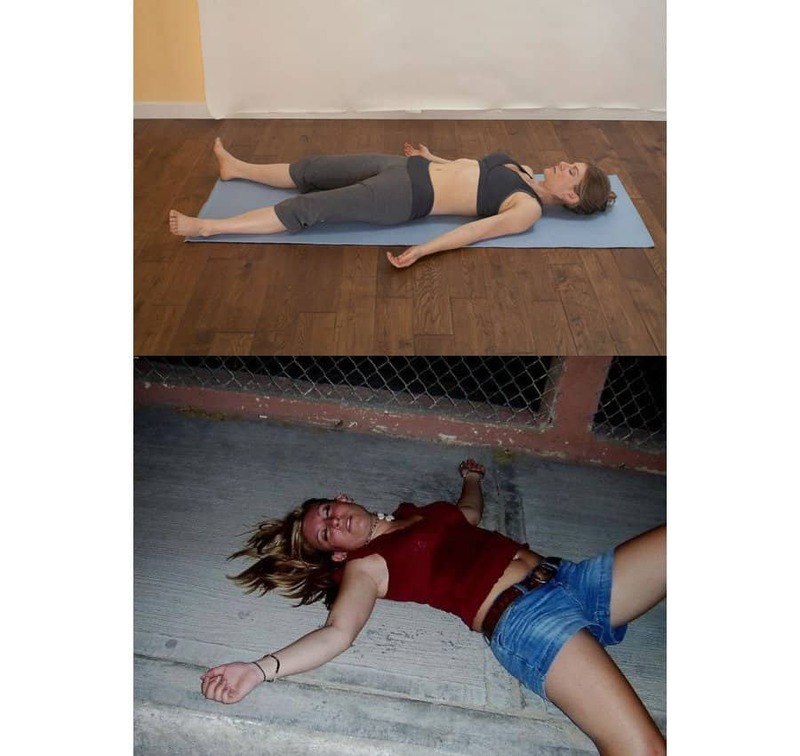 We would just call this pose sitting, but you can see the girl in the bottom picture regretting having that extra shot of tequila. Before yoga became mainstream, most girls trying to prove their flexibility would pull this pose. It seems like the girl is a bit out of practice, needing the guys knees to keep her upright. We think we’d like to rename this pose to something easier to remember. We think the flowerbed pose is rather fitting. The wide-legged forward bend pose might seem rather easy, but this girl takes it to a whole new level by introducing the toilet bowl as an obstacle. Or a head rest, we’re not too sure. Sure, the woman in the top picture doesn’t have a park bench supporting her weight, but she probably hasn’t drank an entire keg either.